It’s been a minute since I wrote on my blog, so let’s see if I can get my mojo back. In the past four years, a lot has happened. I left off after writing about my first trip to Thailand*, and since then I have been to a whole lot of places, and my life has taken a few unexpected turns. Here I am, finding myself in the same situation I was one year ago when I was leaving to France to finish my studies. After only 2 months of being back home, today I’m off to China. I have done this “leaving” thing a few times before, it’s easy because even though you will miss your family and friends, what you are leaving for is all that you want and will make you happy. But the return gives me mixed emotions, on one side being back home with my family is great, but on the other I look back on the life I built and friends I made, and I will miss it dearly. Crete is the largest of the Greek islands the last stop during my trip in Greece. I took a ferry from Santorini to Heraklion, which is the capital of Crete. But I was spending the night in Chania which is 3 hours away from Heraklion by bus and from where I had a flight back to France the next night. 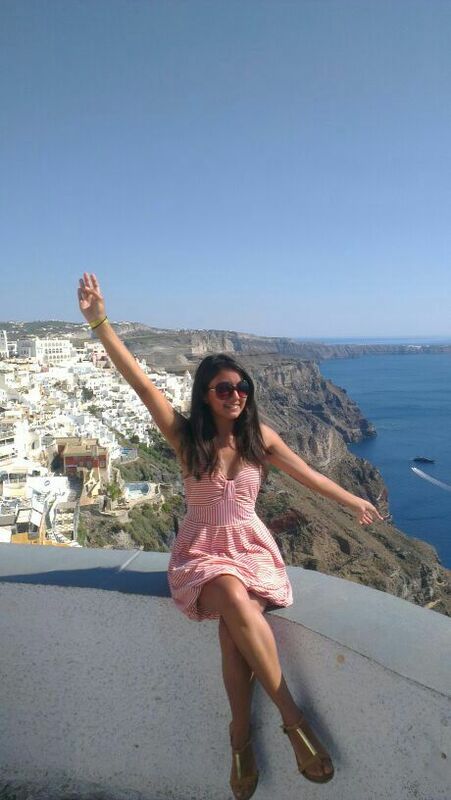 Better than pictures, Oia, Santorini. Oia is a small town in Santorini. If you have ever seen pictures of luxurious hotels in Santorini it’s probably in Oia. It is so amazingly beautiful, that at times my friends and I just couldn’t believe we were there. The first stop in Greece was Athens. After a day of sightseeing, which honestly disappointed me, I embarked on a ferry to Mykonos. The ferry was the best way to get there and only costed 34 euros! The ride lasts for about 6 hours and it’s pretty smooth. Antalya is a beautiful Mediterranean beach city and one of the most visited places in Turkey . This city can compete with any other famous resort town in Europe, as it offers amazing beaches and landscapes, good nightlife and shopping. Although my stay was just for one night and one day, it was one of my favourite destinations during my Turkey trip and I managed to visit most of the sights and even found time to chill at the beach.